Focalin XR: Usage, Effects and More! Focalin XR is a useful drug if it is taken according to the doctor’s advice. However, you should take care when you notice any Focalin side effects. Know more! 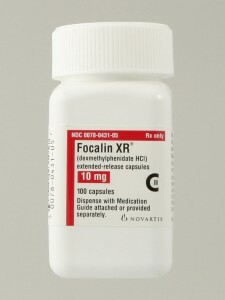 Focalin XR is one of the drugs used in the treatment of attention deficit hyperactivity disorder (ADHD). This treatment program is inclusive of educational, psychological, as well as social measures. It helps in elevating one's capabilities to concentrate as well as staying focused. It can also be used to resolve behavioral problems, improve listening skills as well as help in organization of your tasks. Dexmethylphenidate is a minor stimulation that is said to function by altering the content of some natural chemicals found in the brain. As much as it is helpful, just like all other drugs, Focalin XR has side effects, other drug interactions and warnings. Focalin should be taken as prescribed by the doctor. Be keen with all the directions provided on your prescription. Occasionally, the doctor might change the dosage on your prescription to make sure that you get the best treatment. However, this does not mean you can alter your dosage at will. Take precisely as prescribed to. You should also not extend or discontinue your dosage. Focalin XR can be taken with or without food. If you have difficulties swallowing the capsule, you can open it up and sprinkle the content on a spoonful of apple sauce and swallow without chewing. Do not store it for later use. Focalin should be stored in room temperature in a cool dark place. Make sure to follow up on the usage of your pills to make sure that nobody is using them without prescription. Please note that not all possible side effects of Focalin XR are known or have been reported. It is important to consult your health care provider for more information about it. Some of the reported side effects include headaches, stomachaches, nausea, heartburn, indigestion, belching, dry mouth, nervousness, pain in the throat, trouble sleeping, and loss of appetite and as a result one might lose weight. Some of the less common side effects include twitching. If you experience accelerated heart rate, convulsions, blurry vision or numbness, weakness on one side of body, consult a doctor immediately. Also mood swings, skin color change, temperature sensitivity, agitation are also serious signs. In rare occassions, young boys/teens as well as adults, may have a painful or prolonged erection which can last for 4 hours or more . Get medical help immediately if you have any symptoms of a serious allergic reaction, including: light to severe rash, itching, severe dizziness, face or tougue swelling, and trouble breathing. When drug interactions occur, the functioning of Focalin XR might be tampered with, or the side effects might be serious. Please note that not all possible drug interactions have been mentioned in this article. It is, therefore, wise to keep a record of any drugs that you might be taking and consult your doctor before you start taking Focalin XR. Serious, if not fatal, drug interactions can happen if you use Focalin XR with MAO inhibitors. To avoid fatal Focalin side effects due to drug interactions, avoid MAO inhibitors like linezolid, phenelzine, moclobemide, methylene blue, selegiline, tranylcypromine, rasagiline, procarbazine and isocarboxazid. It is also recommended not to take any MAO inhibitors prior to Focalin XR treatment. Consult your medical professional on how to go about them. Focalin XR can interfere with tests (such as brain scan for Parkinson's disease),and can possibly cause false test results. It is important to mention to your doctor if you are allergic to any drugs before you start Focalin XR in order to avoid Focalin side effects related to allergies. Focalin XR might contain ingredients that might cause allergic reactions. Before you commence using Focalin, make sure that your physician is fully aware of your medical history, more so if you have suffered from glaucoma, high blood pressure and any other problems related to blood circulation (like Raynaud’s diseases), heart related diseases (like heart failure, heart attack and irregular heart beat), a history of heart related diseases in the family, mental/mood problems (more so anxiety, agitation and tension), mental/mood related problems in the family as well as family/personal related issues with irregular muscle movements. What Are the Side Effects of Fish Oil?